For all your Windermere appraisal needs. Look no further. We know Windermere! 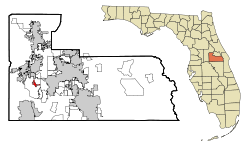 Windermere, Florida is located in Orange County, Florida. Originally, Windermere was mainly orange groves when established in 1889. Windermere now houses some of the most expensive residential real estate in Orange County and during late 2007 unsuccessfully proposed to annex Isleworth and Butler Bay. Windermere is known for its old town look and feel while being surrounded by some of Central Florida’s most beautiful lakes. In Windermere, Florida we appraise single family homes, condos, condominiums, vacant land, houses, manufactured homes, mobile homes and modular homes as well as all over Central Florida area. Have A Windermere Appraisal Question ? Call Now!